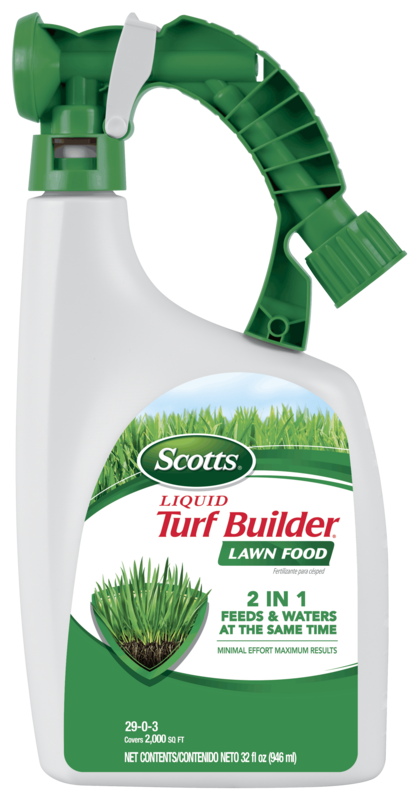 Use Scotts® Liquid Turf Builder® Lawn Food to feed, green, and water your lawn at the same time during any season and on any grass type. No assembly required, just attach your hose and spray. Can be used on all grass types. Attach to garden hose and spray evenly over the entire lawn area. Liquid lawn food is not recommended for use on flowers or ornamentals or mulch. Not for use on/around edibles. Minimum shelf life of 3 to 4 years when properly stored, but will often last longer.